Welcome to my John Crestani Super Affiliate System 3.0 review! 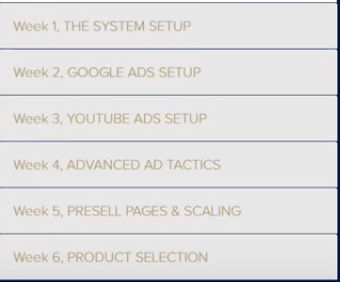 Super Affiliate System (SAS) claims that you can earn a seven-figure income from home if you apply all of the strategies John guides you in this system. Though the claim looks very appealing and most of the newbies often get trapped in such claims, but in this review, I will uncover all this. Before going in further detail, I must congratulate and appreciate you for taking your time to do your own research before joining this system. Is it really that easy for Super Affiliate System to fulfill its promises? Is it worth your time? And most importantly, is Super Affiliate System by John Crestani a scam or legit? I will cover all those things in this review. Summary: Super Affiliate System 3.0 is a great product of John Crestani whose focus is solely on paid advertising methods. You will learn all from the search engine advertising, social media advertising, and native ads to get instant results. The strategies are tried and tested by John, and this product isn’t some typical crappy products on Clickbank rather it is a quality system designed for the marketers. Before starting this, you must have a basic internet marketing knowledge, good advertising budget and budget for other hidden cost that I will show you in this review. 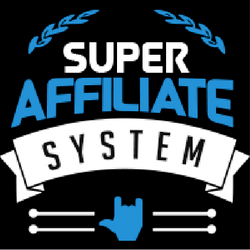 What is Super Affiliate System 3.0 by John Crestani? John Crestani is an internet marketer and has achieved great success over the years. 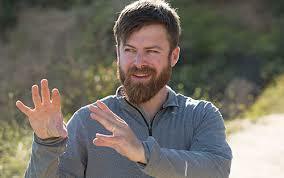 He initially launched Internet Jetset, a program that focuses more or free methods of traffic to make money online. After that he launched Super Affiliate System whose entire focus is on paid advertising. Now if you buy Internet Jetset @ $47 per month, you can see Super Affiliate System as an upsell. However, if you buy Super Affiliate System, you will get Internet Jetset as a free bonus. Due to huge success of Super Affiliate System first and second versions, John now launched the third (3.0) version of this program with more updates and bonuses. John Crestani is an internet millionaire at the age of 30. He got fired from the job, and then he builds a $500k per month business. He was also featured on Forbes and Business Insider. Now due to the massive advertisement, he is known everywhere in the world. The major success in John life came here when he steps in the paid advertisement; this is what this course is all about. After that, he came here in the market with the name of internet Jetset and now Super Affiliate System. He also owns a Nutryst a nutritional supplement affiliate Network. 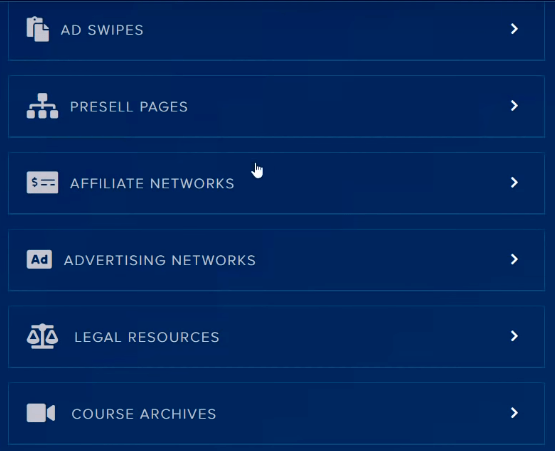 What is Included in the Super Affiliate System? SAS is a six week paid advertising course that will guide you step by step how to make money via affiliate offers. Let’s look at the content which is provided in over the six weeks period. How to join affiliate marketing networks? How to setup your site? How to setup your presell page? How to setup a Facebook page? How to setup Google ads? How to setup your channel? How to keep compliant with Facebook? How to hack people trust? How to write highly profitable headlines? How to split test different pages? How to setup Taboola native ads? John does webinars weekly on every Friday where he helps members in anything that ask. Even he saw members campaigns and help them how to write ad copies, optimize it or just anything they ask. Most of the webinars are 2 to 3 hours long so you can see how much effort he is putting in the form of helping people. Support Ticket - You can find existing questions which have been answered before. Facebook Group – John has created a private Facebook Group for members to gather like-minded people where they ask help and celebrate successes. John personally contributes in the group. However, the issue is that the group doesn't seem to be very active. If you have Clickfunnels account, you can import those pages and edit them as required. If you don’t have Clickfunnels, you can edit them by going through the Cpanel route. John is everywhere on the web. Though this is because of marketing that John is doing but behind this, there are effort and commitment that John did over the past year. After he was fired from the job, he stepped in the field of digital marketing and started to making money online. He has vast experience using paid methods of advertising. He knows what he is talking about. Now he is earning $500k per month using his strategies. So, if you purchase this course, you will learn from someone who has already tested and tweaked in the past. There is a lot of junk out there on the ClickBank and other platforms, but I do believe that it is one of the best courses on the ClickBank. Knowing a certain thing is something else, but if you don’t know how to convey to your students, then it is of no use. John knows how to provide this stuff to other students and all the stuff here is step-by-step and in a user-friendly way. The dashboard is clean, and you can easily navigate and find something you want pretty easily. The training is in the form of video tutorials, and it is in-depth as well, and some of the videos are 40 minutes long. I have seen courses where you are taught on 2 to 3 minutes, but here it is not the case. If you are doing a traditional way of SEO, you have to write content regularly and market it as well. Moreover, you need to spend 6 to 8 months to see a significant improvement in traffic. However, if you run ads on Google and Bing, you can get traffic on the same day. It all depends on your budget which will determine the amount of traffic you can get. Also, if you run ads on social platforms like Facebook and YouTube, you get instant views on your videos and pages. This is how you can earn money pretty quickly. If you are looking for an organic way to boost up your videos and pages, it could take a few months to get some decent traffic. So, from day one you know where you are moving, and if you are getting a positive return on investment (ROI), you can scale this business to a great extent. It covers nearly all profitable niches like weight loss, makes money, diet, skin care, brain enhancement, and muscle growth. There is one more thing that catches my attention is to download audience data. You can download a list of buyers, and you can put it into the Google Ads and Facebook, and you can create a lookalike audience. John creates this list as he already runs thousands of campaigns over the years and these are the people who have already purchased those products in the past. So, it must make sense to target again those people who have already bought in the same niche. This is great for people as they have to decide which niche they should take a start. However, few programs don’t offer you that much liberty such as Empower Network, 4 Figures Mentor & MOBE, they will ask you to promote them to other people. However, John Crestani guides you about all niches and even after learning all that stuff you can implement it for other weird niches as well. I also, have five sites on different niches and don’t like to join programs that only focus is on promoting themselves. That’s the advantage of a product which sells on ClickBank. If you don’t like it after buying, there is a 60 days money back guarantee which you can avail and get a refund. I always suggest creating a blog is the first step for newbies. This is how they learn basics and different aspects of internet marketing. When they know how to drive traffic from Google and make money, this is where they should step in paid promotion methods. This is because the newbies don’t have too much money and that is why they are looking for an income opportunity. Paid advertising is a risky business, and it also requires a good budget to start. I recommend starting only if you have at least $50 per day. Though John uses many different methods, you could only start with Google Ads and Facebook. You also shouldn’t think about making money the next day. There are times at the start when you are just throwing money in the advertising and not getting the results. If you have a budget, you can further fuel your business, but there is also a risk of losing all of your money. The program is itself a costly product, i.e., $997. As discussed, you also need a budget of $50 per day. Don’t think that’s enough. Apart from this, there are other affiliate programs you are asked to buy a membership like My Online Business Empire. So, take a look at the cost of this business, it could add up very quickly to empty your pockets. Do you think a newbie can pay such cost at a start? This is for advanced marketers who want to step in paid promotions. Is John Crestani’s Super Affiliate System 3.0 a Scam? It isn’t a scam as there are tons of useful information you can find in the member’s area. The training focuses on the best business model when it comes to seeing results. John leaves nothings left in paid advertising, and I believe he delivered most of the knowledge he knows about this topic. However, I suggest if you are a beginner you should first use his free traffic getting methods that he has shown on the Internet Jetset, or there is a much better product I can recommend you in the next section. Once you start earning money and knows about blogging in detail, it’s time to buy this product. Whatever the level you are in if you opt to buy that product you should consider in mind the good monthly budget to be spending on paid advertising and other hidden costs I have revealed above. I am not a guy who called every product scams just try to promote my own. I am writing reviews for my visitors, and I don’t want them to make an unwise decision. If you are a beginner, I recommend you to start your journey with my #1 choice called as Wealthy Affiliate. Wealthy Affiliate guides people on how to set up their own business from affiliate marketing. It has over 1.5 million members, and it is a complete newbie-friendly platform. Even if you don’t know any coding knowledge, this program lets you start a business from home step-by-step. It is free to take a start, and if you like it, you can upgrade to premium membership for $19 for the first month and then $47 for the next months. After joining this you only need to spend money on the domain name, i.e., $10 per year and rest of all things will be provided in the member’s area. 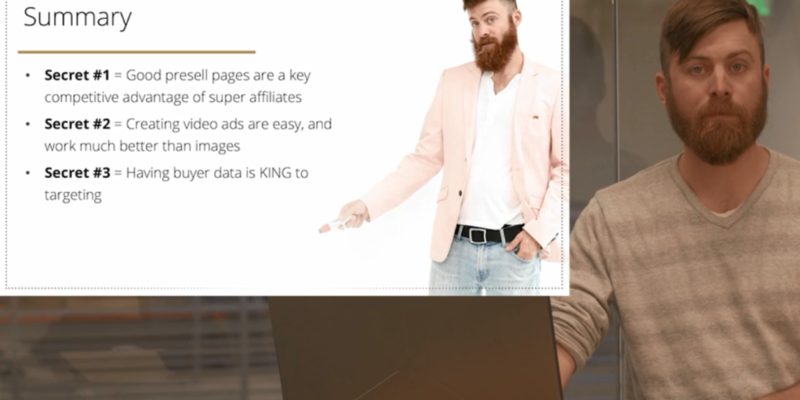 What's your thoughts on my John Crestani’s Super Affiliate System 3.0 review 2019 and if there is any question in your mind, please ask me in the comment section.